The Roybridge Image Library contains 310 pictures of this area for you to browse. Many are images from a bygone age; some are images from present times. New images are always welcome. Images can be viewed by year, by album, by group, or by contributor, or you can use the simple search at the top of this page. When viewing the pictures you can leave your own comments using the form at the foot of each page (please ensure that you fill in all relevant portions of the comments page; it would be appreciated if comments are left with at least a forename....anonymous comments may not be published, and abusive ones most certainly will not be published). In this way we hope to build up an extensive collection of information, reminiscences and anecdotes, and make any corrections necessary. There are 557 comments on the site at present. You can also upload your own photos usigng the Upload a Picture link on the menu. 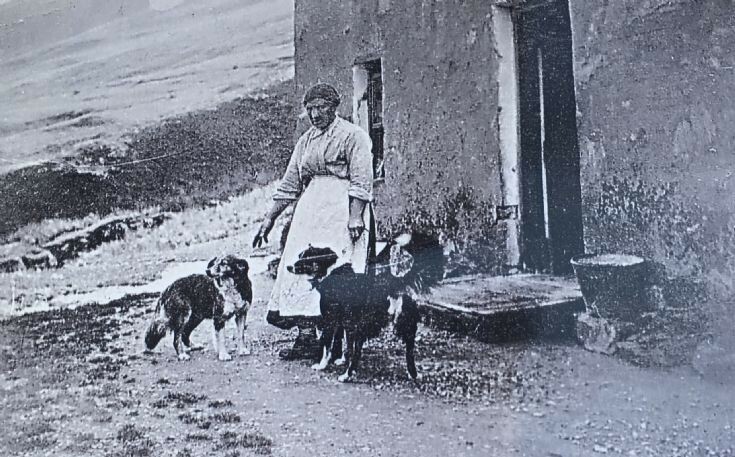 A Cameron Lady outside Achavaddy 1900 ?